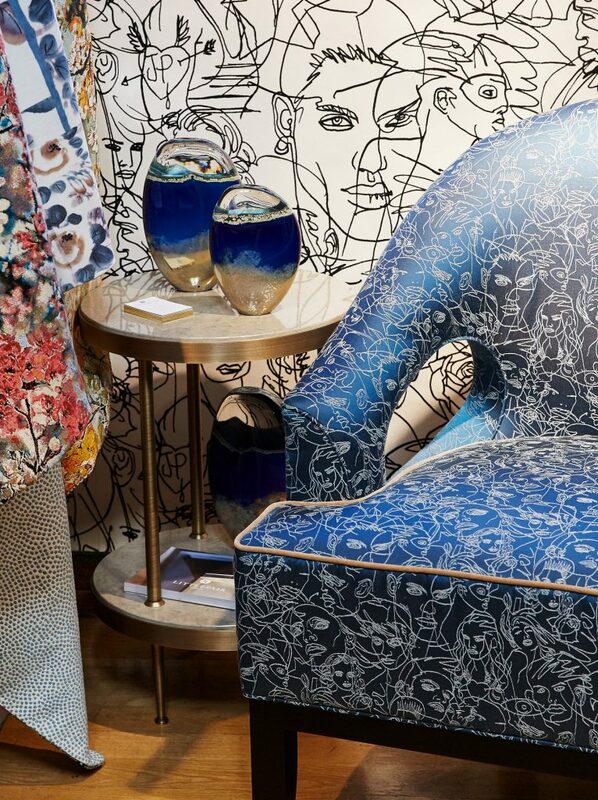 The second instalment of our collaboration with Lelievre took us to one of London’s top design destinations; Liberty where Lelievre have taken over one of the store’s coveted alcoves. The popular Saffron chair has taken pride of place, upholstered in one of the latest fabrics from the Jean Paul Gaultier collection by Lelievre. Next to it sits the Compton side table in a brand-new colourway – antique brass and blue grey stone. Other new pieces that we’re pleased to add to the collection are the dark blue Moltens, which sit beautifully within the display. The whole display has a true Spring-like feel with bright colours and soft floral patterns blooming away, enhanced further by the current heatwave we’re experiencing!